Home to celebrate with his parents, Nick Johnson loves the holidays and all that comes with them, from trips to the tree lot to the very last strand of tinsel. Stunned to bump into Carrie while on a coffee run, he realizes that his former study buddy has grown into a drop-dead-gorgeous woman. One with whom he'd like to share all the joysand hidden pleasuresof the season. Spending time with Nick and his warm, close-knit family, Carrie can't help but feel the very beginnings of that elusive Christmas spirit. She's falling in love with all of them…until an unexpected visitor arrives. 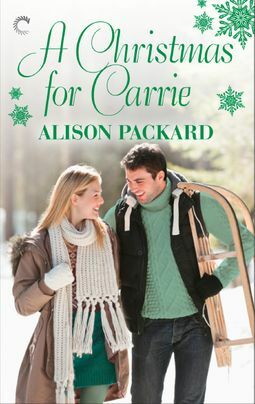 It will take putting her trust in Nickand all her newfound happinessto overcome the ghosts of Christmases past.